People living on barges on Lancashire's waterways have been told to remain vigilant after a series of burglaries along Lancaster Canal. Thieves have been targeting barges in Lancashire, with two burglaries reported close to Galgate Marina, on Tuesday, February 12. 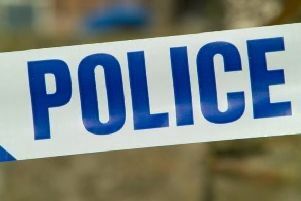 Two barges on the Lancaster Canal were broken into at around 1.50pm on Tuesday, February 12. The boats were moored close to Galgate Marina, near Lancaster. Officers from Garstang's local policing team investigated the burglaries off the A6 in Galgate, which happened at around 1.50pm. Police said three suspicious males were seen loitering in the area around the time of the break-ins. Neighbours reported seeing a blue/silver car leaving the marina at speed towards the motorway. PC Chris Banks said: "We are appealing for any information after two barges moored close to Galgate Marina were broken into today at around 1.50pm. "Three males, described as 16-20 years of age and wearing dark clothing, were seen loitering in the area at the time. "One of the males was heavily tattooed on his arms." If you have any information that could assist in the identification of either the males or the vehicle, please contact PC Banks at Garstang Police Station.